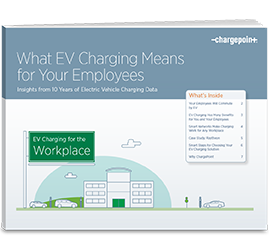 The Rise of EVs Will Impact Your Business. Are You Ready? By 2040, over half of all new vehicles sold worldwide will be electric. That’s a lot of cars, each one filled with your current and future employees, customers and, based on the numbers, you. 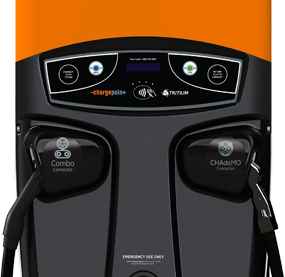 Currently, 1 in 4 of Fortune’s “100 Best Companies to Work For” is a ChargePoint Customer. 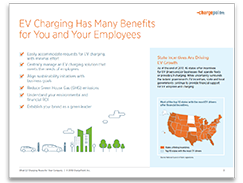 If you haven’t heard about how offering EV charging in the workplace can benefit your business, you may be in for quite a shock.